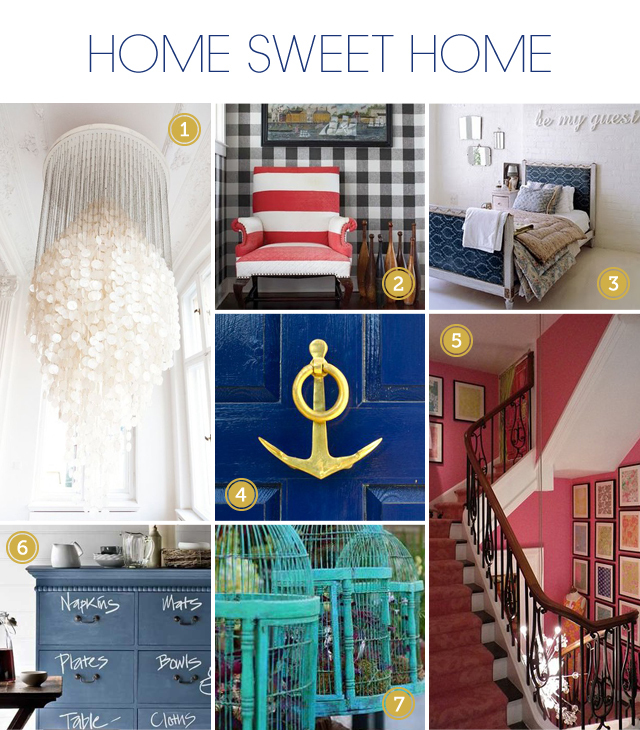 Instagram has quickly become one of our favorite apps! It's easier than ever to instantly take a photo, add a great filter and share with friends. Here are some of the photos we've shared recently. Eyebrows are always tricky, but here's some of our tips and favorite products we use to keep them looking full and staying in place! What are some of your eyebrow tips? Are you following us on Pinterest? See that you do! 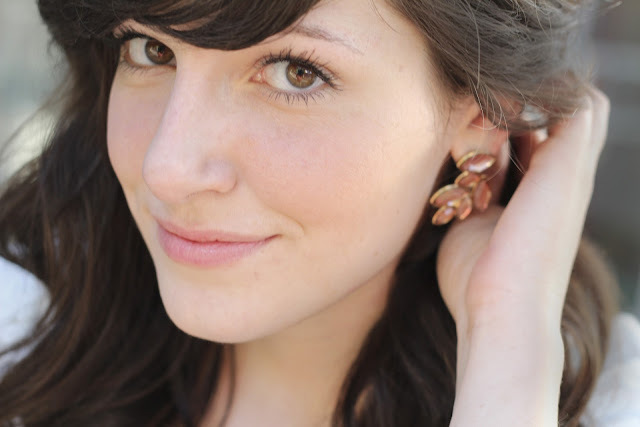 We pin all thing Girls with Glasses over there, and have been adding some things we love as well. We're pretty much in love with everything on here. By the way, has anyone tried out the chalkboard paint? Does it work well? It's looks like the coolest thing ever. Hello everyone! I think you'll be really excited for this new blog feature we are starting. Brooke and I aren't a two woman show, it takes a small group of very talented people to make The Girls With Glasses show run as smooth and pretty as it does. We thought it'd be fun to feature a different member of our team each month and give them a shout out for all their hard work that makes us look good! Today we'd like to introduce you to Tiffany, our new media maven. She's gorgeous, but more importantly, she brings her writing, blogging, social media, developing campaigns, and design work to The Girls With Glasses Show. We can't say enough about her! What's your role with Girls with Glasses? I'm the new media maven on the team, meaning I work behind the scenes to manage the Girls with Glasses blog, twitter, Facebook and Pinterest accounts - So little did you know a lot of the posts you see are actually me! Hah! Idaho Falls, Idaho, but I currently live in Provo, Utah. I recently graduated from BYU with a bachelors degree in communications, and my emphasis was multimedia journalism. I took a floral design class at BYU and have been in LOVE with flowers ever since. I thought flowers were nice before, but now I crave fresh flowers in my room and home all the time. In fact, our neighbor's rosebush has overgrown into our yard and on occasion I'll snip a few rogue roses and place them in a mason jar (don't tell). Seriously you guys, go buy yourself a batch of flowers and you tell me how quickly you can't live without them. I also love organizing and decorating my space. I live with five roommates right now and you can't always guarantee cleanliness and organization in a living space like that, but my room is all mine. I've got the perfect comforter, beautiful prints, old cameras and even little glass knobs for the drawers on my dresser. If you love your space, inspiration will come on the daily. I went to Paris a couple summers ago and would love to go back. There are other places I'd like to visit of course, but there was just so much to see in Paris; The Eiffel Tower, the Louvre, the Musee d'Orsay, the Seine River, Notre Dame - the few days I was there couldn't do it justice! My dream job would be doing behind-the-scenes marketing (writing, blogging, social media, developing campaigns, some design work - basically what I'm doing for GWG) job for some big name company like Anthropologie, Target, Dove, etc. For now though I'm looking for a full time job in the Provo/Salt Lake area. So if you know of anything let me know! totiffanyann@gmail.com. 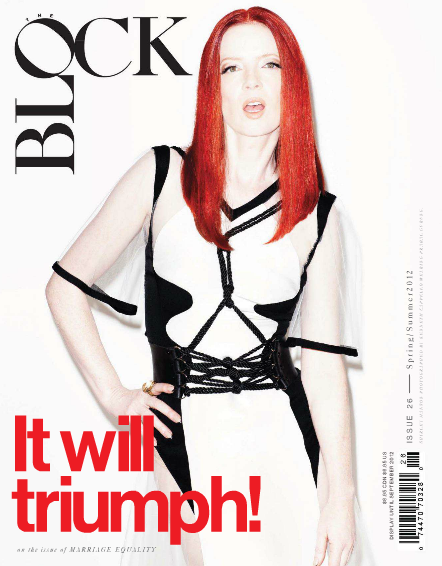 We are really excited to be featured in The Block Magazine! They used one of our favorite pictures from Trever Hoehne. You can view the whole article by grabbing one at select Barnes and Nobles, or checking out the digital issue. What's In The Girls With Glasses Makeup Bag? We have gotten a bunch of emails and comments about our makeup routine, and what products we can't get enough of. Well, here is the video for you. Brooke and I open our bags and share our deepest, darkest beauty secrets and our favorite products. Brooke and I love our little cat eyes, especially when we are filming the show. These two tips today are specific for getting that perfect look. 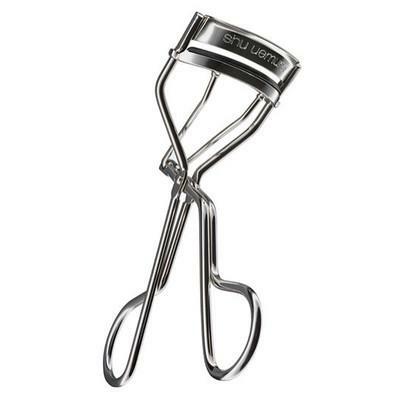 We almost always are wearing false eyelashes, but when your not, most lashes could use a little pick me up, with an eyelash curler. Brooke shares her favorite two brands. 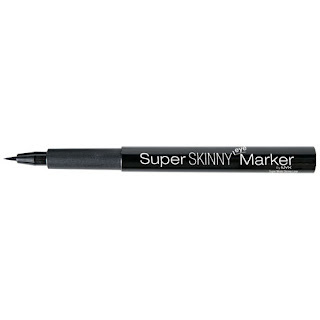 I am all about the liner. 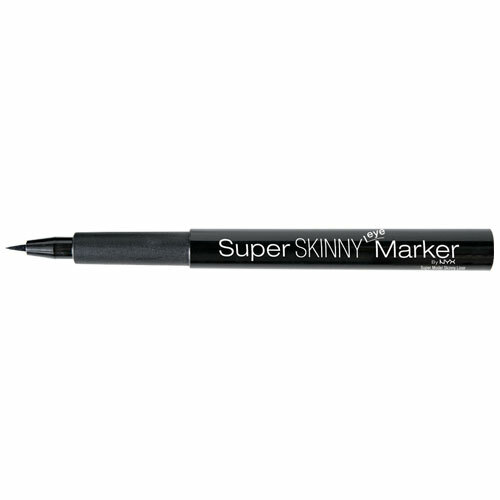 Not being a pro, the NYX eye marker helps get you a smooth line, without needing years of experience. Hope you enjoy. Isn't it the best when you find an album you can listen to all the way through and love every song? Well, we thought we'd share a few of our favorite summer albums we've been keeping on repeat. The Beachboys, "That's Why God Made The Radio"
That's right. The Beachboys have released a new album. No, you haven't traveled back in time, although it might feel like you have while listening to this. 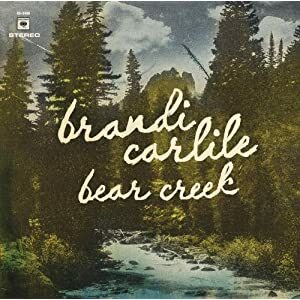 For music with an Americana feel, a powerful female voice and lyrics that will rock your world check out Brandi Carlile's new album. Edward Sharpe and The Magnetic Zeros, "Here"
You may remember this band with their hit single, "Home." Well, they're back! This album will cheer you up on even the rainiest, dreariest summer day. We love Meiko, an incredibly talented singer/songwriter who just released her second record. 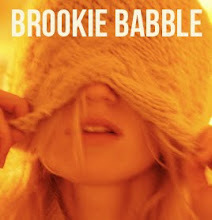 Sophomore albums don't always live up to the artist's debut, but she has succeeded in releasing another great album! 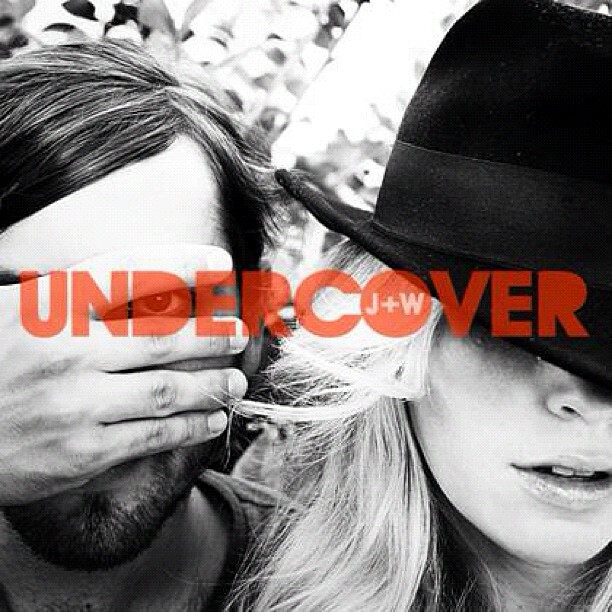 Jack and White, "Winter" and "Undercover"
Of course, we have to include Jack and White's latest EPs. They've been hard at work and have amazing things to show for it. Go take a listen! What are your favorite summer albums right now? 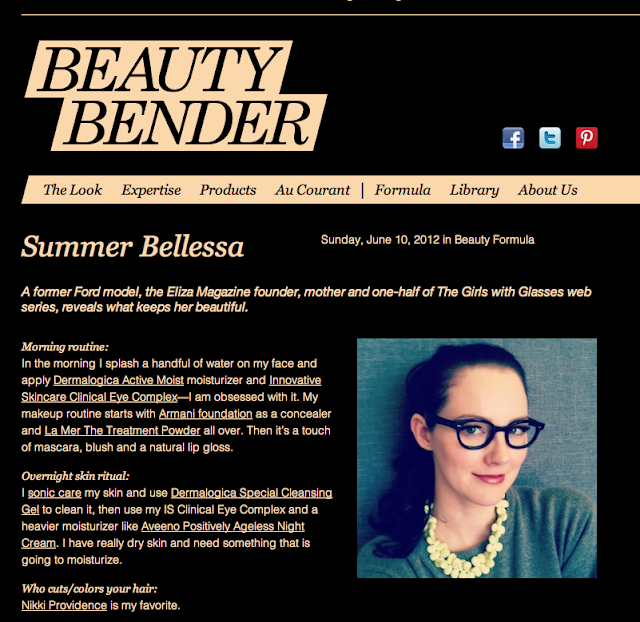 I am really excited to be featured on the fabulous blog Beauty Bender. Check out the whole story by following this link. Watch for more beauty tips, tricks, and what's in our makeup bags. 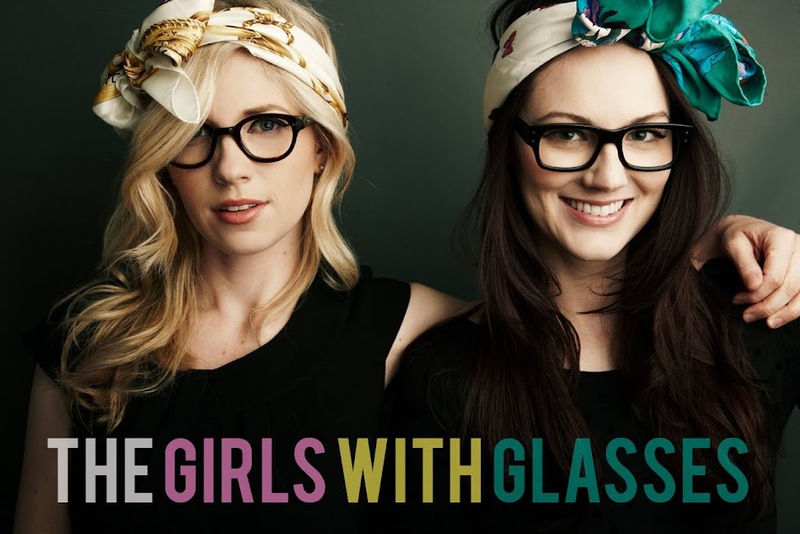 You have asked us where we got our glasses from, so we thought we would tell you. 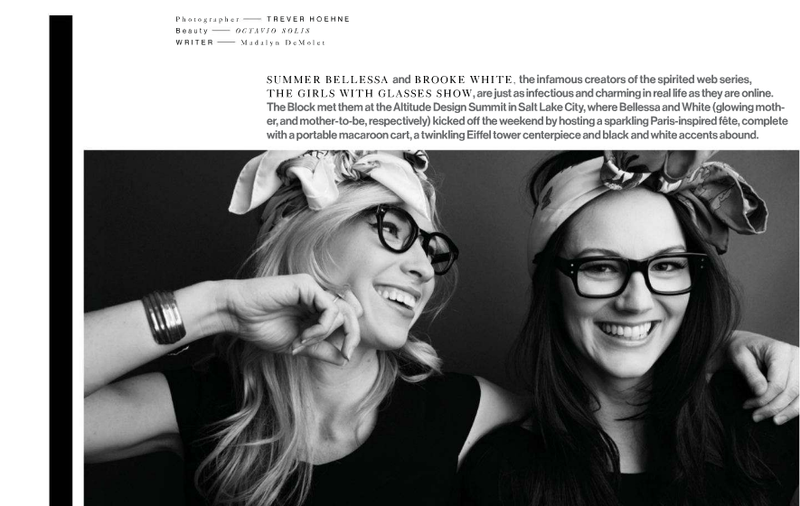 Brooke is wearing "the host" from Mezzmer Eyewear and Summer is wearing "Heloise" from 3.1 Phillip Lim. We're all about the one piece suit this summer. One pieces are making a comeback, and why ever not? 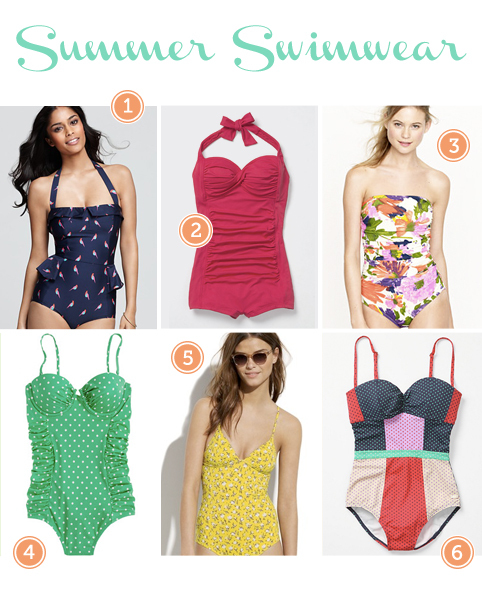 They remind us of the retro swimwear looks of the 1940's and 50's, which were super flattering. If you're a little hesitant, here are a few of our favorite one pieces this season. Aren't they so much fun? So bright and lovely. PS That's right! Summer's pregnant with baby #2. You can read all about it here. There are a lot of lists on the popular pregnancy websites that are dedicated to everything you should bring for this big event. Each mom has to figure out what she thinks she needs and what she is going to skip. These are the four things that I was glad to have with me, and I think you will be glad too. Brooke and I are wearing clothes from H&M and the bag is from Ame & Lulu. The Method Hand Sanitizers come out next month, we will keep you updated. They are so cute, can't wait to share! Hope you guys are having a great day.